Are your Supervisors equipped to deal with impairment in the workplace? Do you have procedures in place to handle suspected drug/ alcohol use at work? If not, this course is where you will learn what your company needs to do to be prepared. You’ll leave with tangible tools to put to work right away as well as a specified list of other items to get in order, once back at your office. Canadian Model for Providing a Safe Workplace & OHS Standards. Both of these require training for supervisors on drugs and alcohol. This training course also exceeds the requirements of the U.S. Department of Transportation (DOT). TO REGISTER call our office @ (844) 825 5030. Space is limited so register early to secure a seat! 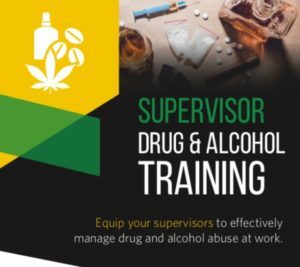 Classroom size is limited so CALL our office to book your Supervisor Drug and Alcohol Training TODAY!